I’ve been involved with Save the Elephants (STE) ever since my father founded the organisation in 1993, and am enormously proud of all that we do. In short, STE works to secure a future for elephants in a rapidly changing world. To battle the current surge in ivory poaching, we established the Elephant Crisis Fund with our partners the Wildlife Conservation Network to identify and support the most effective global partners to stop the illegal killing of elephants, thwart traffickers, and end demand for ivory worldwide. 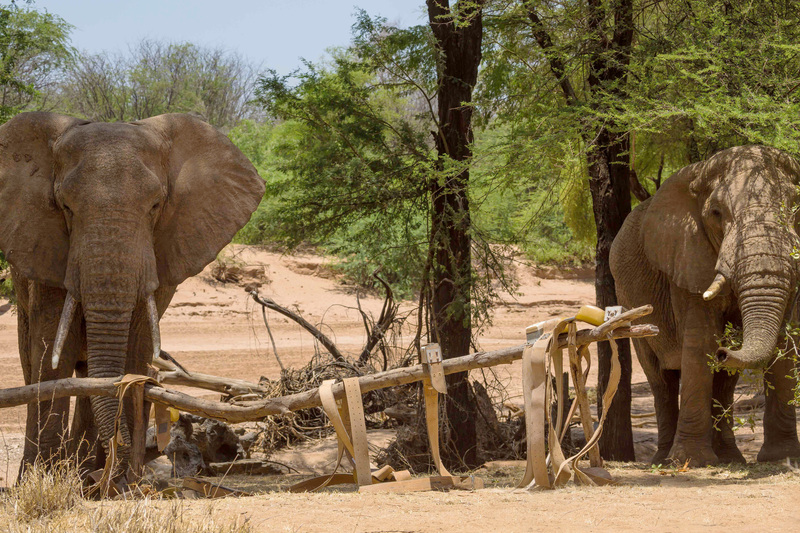 A leader in elephant science, STE also provides cutting-edge scientific insights into elephant behaviour, intelligence, and long-distance movement and applies them to the long-term challenges of elephant conservation. Elephants are highly intelligent sentient creatures with a form of consciousness that is parallel to our own. They are self-aware and have a strong sense of their own mortality. The similarities between our species are striking. Currently, the illegal ivory trade is the greatest threat to elephants, but hard on its heels comes loss of habitat and human encroachment. Elephants are in crisis across Africa. While we are having some success with anti-poaching efforts in Kenya, it’s a far cry from what’s happening across the rest of the continent. The latest status report from the African Elephant Specialist Group records an overall decline of 104,000 to 114,000 elephants from the total population in the last 10 years, now estimated at approximately 415,428 ± 20,111 (+/-) across the 37 range-states in sub-Saharan Africa. We need urgent action internationally if we are to prevent the loss of elephants in the wild in our lifetime. Most importantly, we need ivory-market countries – to ban their domestic ivory trade. China led the charge by closing all ivory trade within its borders on 31st Dec 2017, and thanks to an overwhelming vote in the Legislative Council, Hong Kong has committed to doing the same by the end of 2021. Unfortunately many new markets are springing up around China, including Vietnam, Myanmar and Cambodia. A 2017 report authored by Lucy Vigne and the late Esmond Bradley Martin for Save the Elephants, found that Laos now has the fastest growing ivory market in the world. Through detailed long term monitoring of a known population of over 1000 elephants, and 20 years of research on long-distance movement, STE’s data is crucial for landscape planning as Africa modernizes to ensure the long-term sustainability and integrity of intact ecosystems to conserve abundant populations of wildlife.